Stylish chrome table bases with a weighted cast iron base and cover for extra stability. 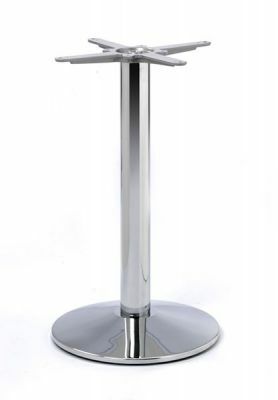 Suitable for use with table tops up to 600mm round or square. Available from stock for a free and fast delivery. 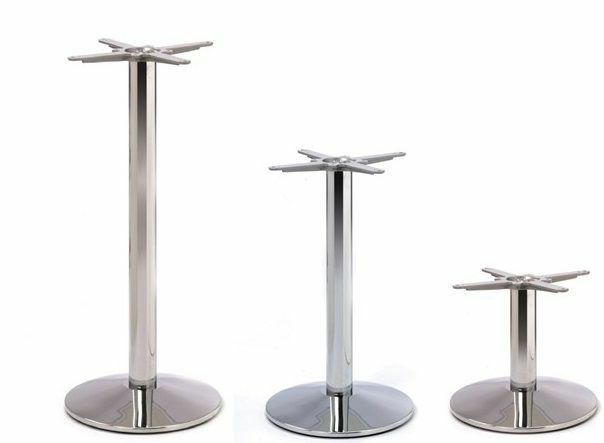 Chrome café table bases with a cast iron base and steel column. These café table bases can be used with circular or square café table tops. Delivered from stock these café table bases require assembly.